Apartment living can be great, but it also comes with challenges. One of those challenges can be space. It may seem impossible to believe that you have accumulated so many things since you moved in, but you can help make your living space feel as if you have just moved in with a few easy steps. Go room by room and take a good look at all of your items, especially those that are cluttering up any flat surface and drawer space. Make a box for items that can be donated and another box for items that can be recycled. A great way to make space in your apartment is to remove all clothing that you don’t wear. A good time to do this is when the seasons change. Donate all clothing items that you didn’t wear that previous season to avoid storing it for next year. An excellent way to store those odds and ends you can’t seem to find a home for is to tuck them neatly away in baskets or storage totes. Your apartment will quickly become less cluttered and will look great too! Storing items that are clearly not being used is taking up valuable space in your cupboards that could be used for something else. Get rid of all of those canned and dry goods that you have been storing over the years. Do a clean of your food pantry every year and discard or donate what is not being used. Recycling is most likely a big contributor to the clutter in your apartment. The water bottles and pop cans can accumulate quickly on your counter, not to mention pizza boxes and take out containers. Take these out every other day to keep your apartment clean and tidy. 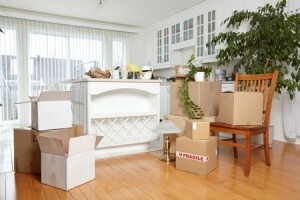 Make the most of your apartment rental with these decluttering tips!